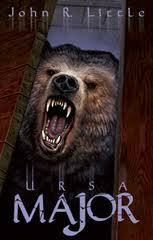 This entry was posted in Novellas, Reviews and tagged Bad Moon Books, John R Little, Novella, Ursa Major by Mr. Dreadful. Bookmark the permalink. Awesome! As you know, I LOVE a well crafted short story, especially one where the characters aren’t just death-fodder. Looks like another great find for the DT crew. Wow this sounds like a powerful story!